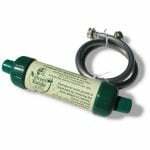 The Rainshow'r Gard'n Gro PFGG replacement extends the life of your Gard'n Gro Dechlorinator System. The kit included a 15 micron double screen sediment filter and three foot, high pressure , nylon re-inforced, flexible, vinyl hose saver. When installed before the Gard'n Gro this Prefiter reduces the amount of sediment that reaches the KDF media in the Gard'n Gro Garden Filter. 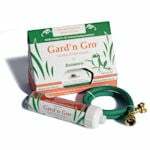 This reduction increases the effectiveness of the Gard'n Gro over a long period of time and optimizes its electro-chemical action. 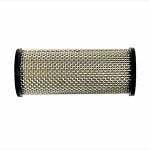 The Vinyl Hose Saver included is fitted with chrome plated, 3/4" fittings with brass inserts. 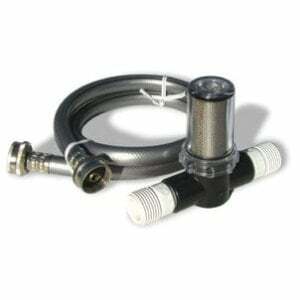 The hose saver connects the garden faucet to the hose saver inlet to prevent the prefilter from damag by hose whipping.